Certified Transmission and Total Car Care is your ultimate Dodge auto repair service provider in Stillwater, MN. 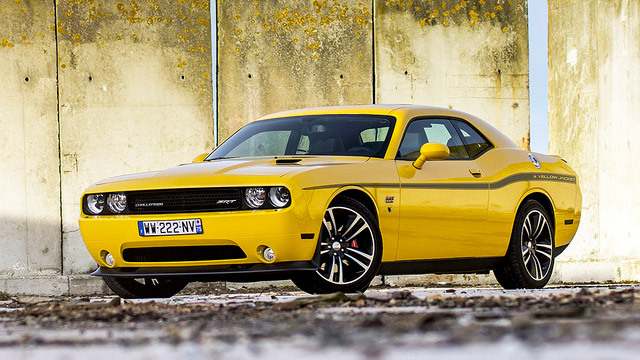 Dodge is widely known for its powerful modern muscle cars and high performance luxury sedans. A top quality brand like this only deserves repair and maintenance services that are second to none. We pride ourselves in providing quick, convenient and quality service that you can rely on. We can handle everything from mechanical and electrical repairs at a great value for your Dodge truck, SUV or van. We have a dedicated team of ASE certified technicians who offer expert service on any maintenance issue at competitive prices. Our Stillwater auto repair experts will fix your vehicle to industry standards to ensure you get the most out of it. We provide services like oil changes, brake repairs, wheel alignment, coolant replacement, vehicle inspections to major repairs on your engine and drive train. Having been in operation since 2002, our professional technicians have the experience and know-how to keep your Dodge performing at its best. Our top-rated Dodge service is backed by a 12 month/12,000 mile nationwide warranty. We are committed to delivering friendly, top-quality and quick turn-around Dodge auto repair services. Count on us to give the best Dodge repair service in Stillwater, MN as our skilled technicians use high-quality brand parts designed and tested to fit the precise specifications of your Dodge brand vehicle. We will quickly find and accurately diagnose your vehicle's problems while performing quality repairs in a timely manner. Enjoy an outstanding performance and a comfortable driving experience every time you hit the road with your legendary Dodge model. Schedule an appointment and let us take care of your Dodge repair and maintenance services in Stillwater, MN.